If you’re a U.S.-based reader of The Points Guy, I wouldn’t be surprised to hear that you’ve applied for at least one credit card offer with a large sign-up bonus. Unfortunately, most (if not all) of these offers are unavailable to readers outside the country. To help our readers elsewhere make the most of credit card applications, last month I wrote about the top credit card offers for Canadian readers, and today I’d like to discuss the top offers for TPG readers based in the UK. TPG readers based in the UK can still take advantage of some lucrative credit card offers. This post will be organized a bit differently than the previous one. Since the top offers in the UK are concentrated among just a few issuing financial institutions, I’ll highlight the best cards for each loyalty program (with other related contenders listed for your consideration). Much of my analysis will take into account TPG’s most recent monthly valuations, and just like in the Canadian post, I’ve converted the valuations into points or miles per British Pound (at the time of writing, $1 US = 0.622 GBP). You may have your own values for the various loyalty currencies out there, so please feel free to adjust as needed! One other special note: unlike similar products issued in the U.S., many of the cards discussed in this post are offered both as an American Express card and a Visa card, though they’re linked to the same online account and loyalty program number. Generally speaking, the American Express cards come with a higher earning ratio (the Visa cards typically earn points/miles at half the rate). 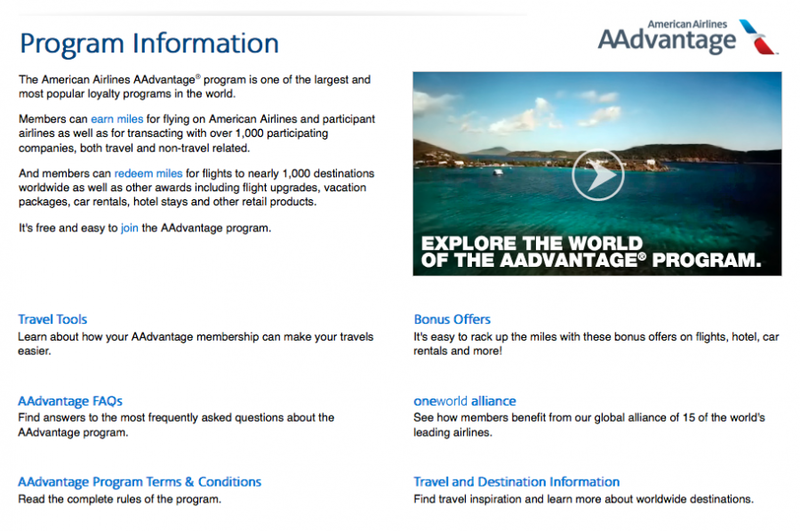 Despite being based in the U.S., the AAdvantage program offers a lot of value to UK residents. Reasons to get it: While this card offers nowhere near the 100,000 miles that U.S.-based flyers hauled in back in 2011, if you meet the minimum spend using only the American Express version of the card, you’ll earn at least 17,250 AAdvantage miles. Given TPG’s September valuation of £0.0106/mile, you’re looking at a value of about £183. Reward flights within Europe start at just 10,000 miles one-way, but one of the best uses of AAdvantage miles is for off-peak economy travel between Europe and the U.S. at just 20,000 miles each way from October 15th to May 15th. By spending just a few thousand pounds on this card, you’ll have enough miles for a one-way coach ticket that could retail for £700 or more. 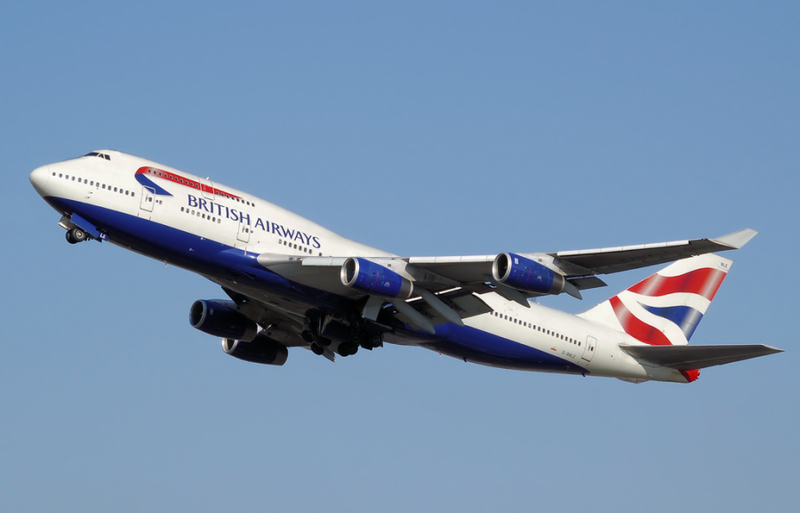 The British Airways Premium Amex gives you a Companion Voucher after spending £10,000 in a year. Reasons to get it: If you spend the £3,000 necessary to earn the sign-up bonus, you’ll take home at least 22,500 Avios (or more if some of that spending is made directly with British Airways). Using TPG’s valuations, that’s worth about £239, which will more than cover the annual fee. However, the real benefit of this card is the Companion Voucher after spending £10,000 in a cardmembership year. Just like the Travel Together ticket offered by the British Airways Visa Signature Card, the Companion Voucher lets you bring a friend along when you redeem Avios for a flight, and it’s valid for 24 months; you simply need to pay taxes and fees on the companion ticket. The big difference is the spend threshold: at current exchange rates, you need to spend just over half of what it takes to earn the Travel Together ticket in the U.S. Depending on your yearly spending and travel patterns, this could represent a huge out-of-pocket savings. Other offers: American Express also provides a standard version of this card. While it doesn’t come with an annual fee, the sign-up bonus is just 5,000 Avios (after spending £1000 in the first three months), and you only earn 1 point/£ on all purchases. You can still earn a Companion Voucher, but it requires double the amount of spending (£20,000) and is only valid for half as long (12 months). 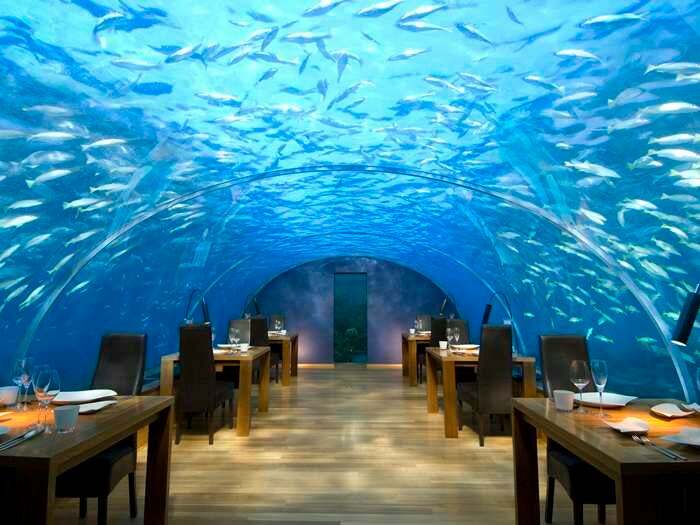 You could redeem your free weekend night certificate from the Hilton HHonors Platinum Visa and dine underwater at the Conrad Maldives. Reasons to get it: Hilton HHonors points are significantly less valuable than most other hotel currencies. However, the free weekend night certificate can be very valuable, either within the UK or abroad. For example, weekend nights at the Waldorf Hilton in London are going for £359 next summer, while rooms at the Conrad Maldives (where TPG visited last year) are going for £708 this coming February. The card also comes with automatic Silver status, reasonable spending thresholds to earn Gold status, and up to 10,000 bonus points for Hilton stays in the first year, all with no annual fee. If you stay in at least one Hilton property a year, this card should absolutely be in your wallet. 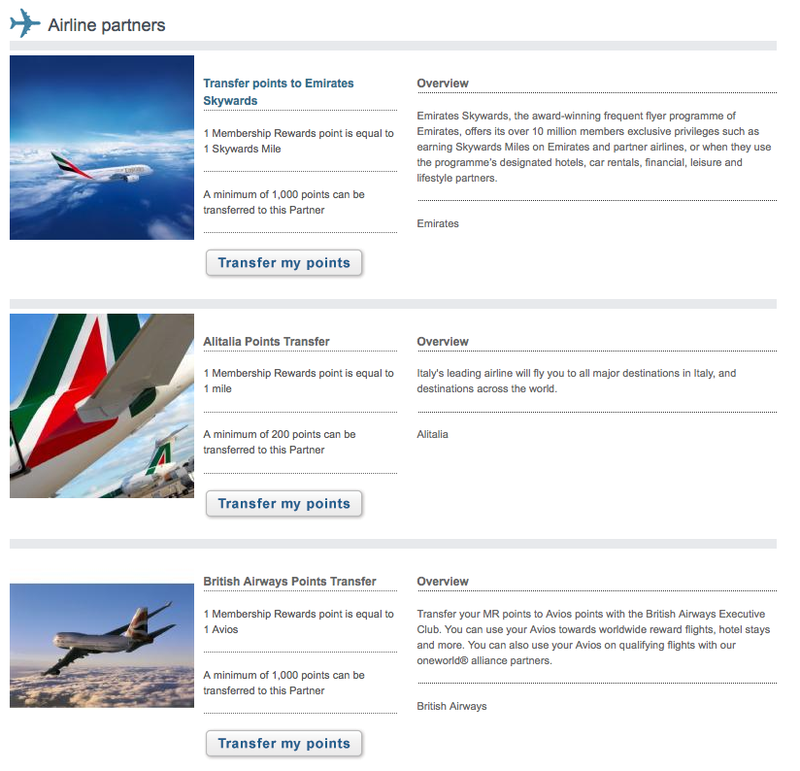 UK Membership Rewards points can be transferred to 12 airline and 3 hotel partners. Reasons to get it: Membership Rewards points are very flexible thanks to their transferability. If you meet the initial spend needed to earn the sign-up bonus, you’ll earn 22,000 points (or more if some of those purchases are for travel, or at gas stations or supermarkets). Based on TPG’s valuations, those points are worth about £246. Another nice feature of this card is that you earn double points on virtually all travel purchases (though I certainly wish the double points at gas stations and supermarkets was permanent, and not just for the first year). It also provides double points on purchases abroad (though those purchases are subject to a 2.99% foreign transaction fee). If you spend more than £15,000 in a year, the 7,500 bonus points are worth £84 and cover a large chunk of the annual fee. Since that fee is waived for the first year, this is a terrific option. Other offers: The American Express Platinum card currently offers a higher bonus (30,000 Membership Rewards points), lounge access, and elite status with several programs, including Starwood and Club Carlson. However, it also comes with a much higher annual fee (£450, not waived for the first year), no bonus categories for purchases (you earn 1 point/£ on everything), and the same foreign transaction fee (2.99%) as the Gold card. Reasons to get it: Starwood Preferred Guest is among the most valuable loyalty programs out there. The 11,000 Starpoints you would take home after hitting the minimum spend requirement for this card are worth around £158, easily covering the annual fee. However, the best benefits of this card are the ones offered to high spenders. Starwood Gold status usually requires 10 stays or 25 nights, so this card can provide a nice shortcut to elite status. In addition, if you typically spend more than £25,000 a year on a card, the free weekend night certificate could be hugely valuable. High end St. Regis and Luxury Collection properties can cost £500 or more per night. I certainly wish the U.S. version of this card had similar threshold bonuses! 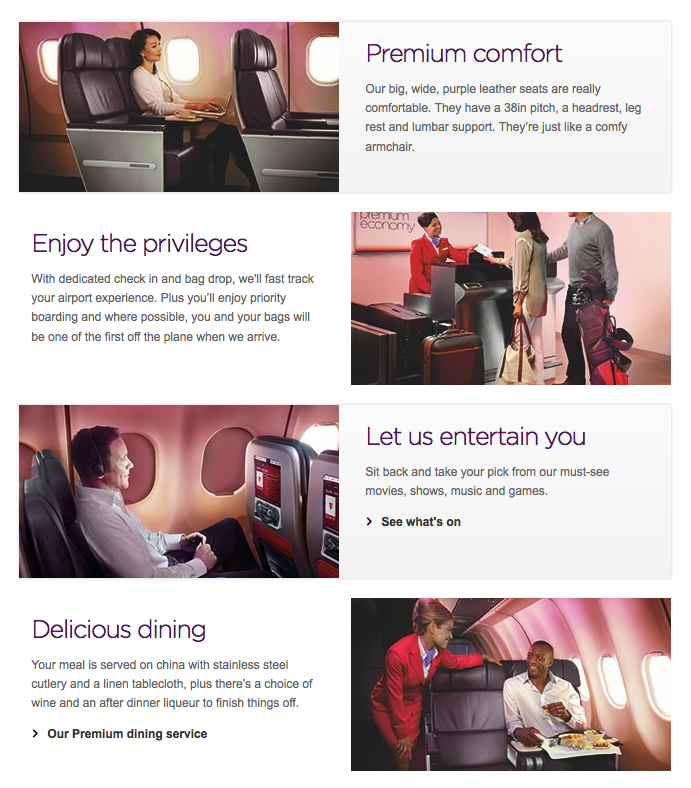 You can enjoy Premium Economy for the award price of regular coach by spending at least £5,000 on the Virgin Atlantic Black Card. Reasons to get it: Even if you spend the entire £2,000 on non-Virgin Atlantic purchases using the Visa, your 27,000-mile haul is still worth around £251, which more than covers the annual fee. Just like the SPG Amex, however, this card is ideal for big spenders. The upgrade voucher allows you to redeem Flying Club miles for a coach ticket and then upgrade that redemption to Premium Economy. The T&C doesn’t specify whether the upgrade is for one-way or round-trip flights, but even on one-way awards, it can save you a decent amount of miles, as shown in the table below. The complimentary companion ticket could also offer great value when you spend a relatively small amount in a cardmembership year. Just keep in mind that it’s only valid on full-fare bookings, and you’re still subject to the (somewhat significant) taxes & fees. Other offers: MBNA also offers the Virgin Atlantic White Card, with no annual fee, a smaller sign-up bonus (10,000 miles), half the earning ratio, and double the annual spending needed to earn the PE upgrade voucher(s) and companion ticket. Personally, I think the Black Card is the better of the two options, especially in year one. Unfortunately, all of the above cards (and the vast majority of rewards cards in the UK) charge foreign transaction fees of around 2.75% and 3%. Even though the ones mentioned above give you a variety of valuable rewards, they’ll all cost you when using the card outside the UK, so if you do travel abroad, be sure to investigate cards that don’t charge these fees. Money has a good list of such products, though you should evaluate each one to make sure policies haven’t changed. This post doesn’t encompass every credit card out there, but hopefully UK-based readers can use this info to better weigh their options and maximize their points and miles earning through by getting in on the top credit card deals. If you have suggestions about these cards or any others, please share your thoughts in the comments section below!